My skin is pretty normal all year round. I do get dryness and dry patches in winter because of the super dry weather in Colorado. I’ve learned to like moisturizers that are lightweight but also on the hydrating side. During the night, I like to use something heavier and layer even with oils, but in my morning routine, I stick to something that’s lightweight but still provides plenty of moisture for my normal skin. 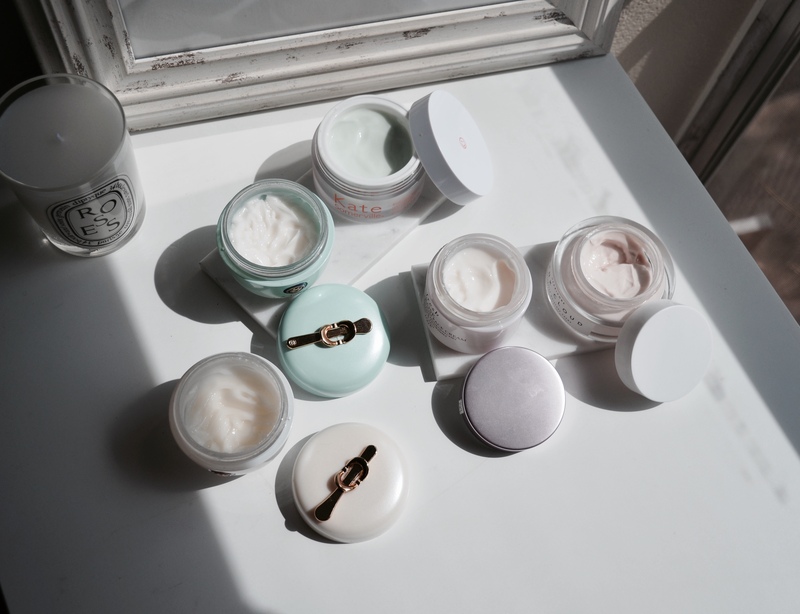 I’ve narrowed down my current most used and loved moisturizers to five. 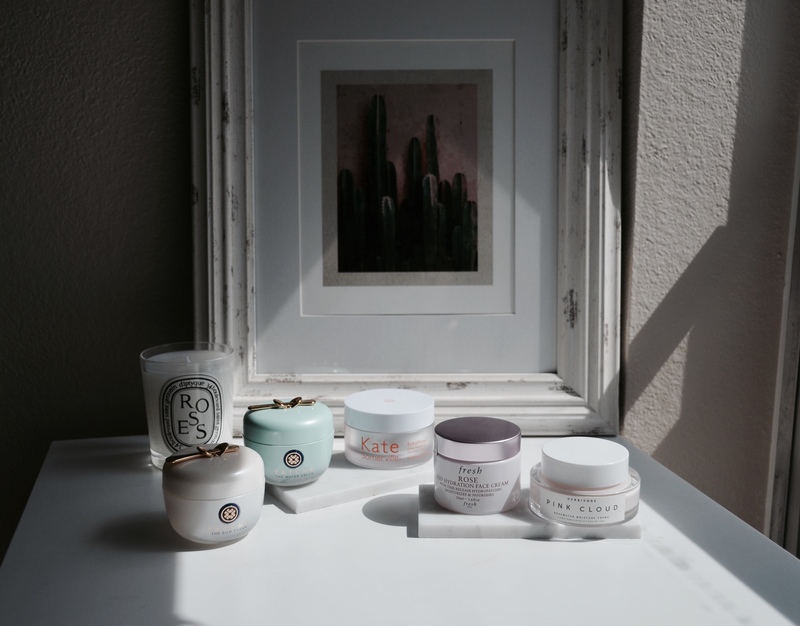 I do switch it up and also incorporate new products that I need to test for review purposes but I always go back to these five creams. Tatcha The Silk Cream – Good for normal, combination, dry and sensitive skin, this gel-cream helps with fine lines and wrinkles, dryness and lost of firmness. It has a complete silk protein (adds a protective moisture veil) and Tatcha’s hadasei-3 complex—a trinity of anti-aging Japanese superfoods green tea, rice, and algae—restores a healthy-looking glow. 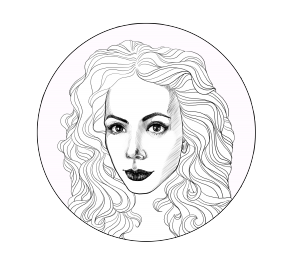 The gel texture feels light and like silk without feeling greasy. -Advanced Silk Extract (Serecin and Fibroin Proteins): Acts as a protective veil of hydration like a second skin, holding in essential moisture and strengthening the skin’s barrier function without weighing it down or clogging pores—revealing a lustrous glow. -Tatcha’s Signature Hadasei-3: Restores a healthy-looking, youthful radiance with nourishing green tea, rice, and algae. It’s richer than the other Tatcha cream I will mention so I like to use this whenever I have dryness or as a nighttime moisturizer. Tatcha The Water Cream – It is an oil free anti-aging water cream that provides hydration with the unique water-burst that breaks upon application to deliver nourishment without leaving skin sticky or greasy. The Water Cream is my perfect moisturizer for summer. It is so light on the skin but still provides enough hydration for my normal skin. It’s a great moisturizer for normal, combo, oily and sensitive skin. If you are dry, I would go with The Silk Cream as I find it richer and more hydrating than The Water Cream. 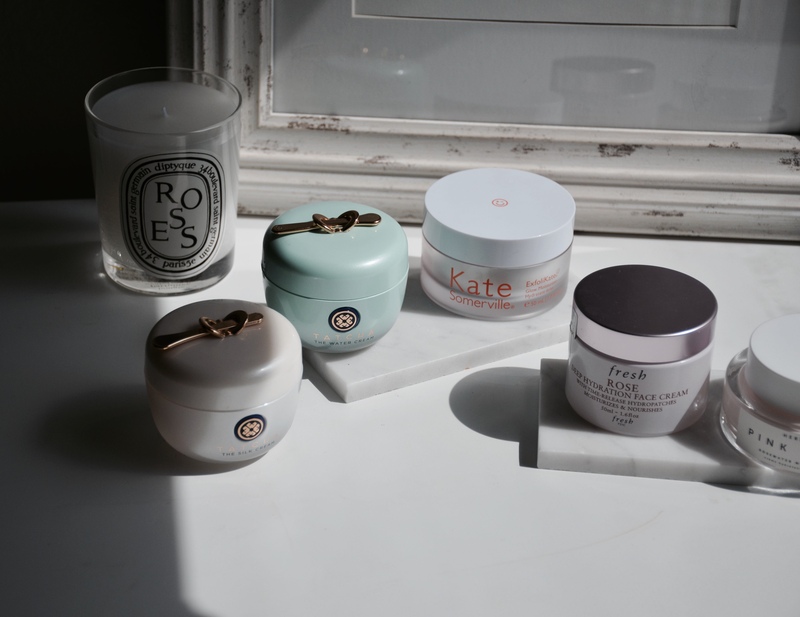 Kate Somerville ExfoliKate Glow Moisturizer – I’ve mentioned this moisturizer a ton both on my blog and on social media. It is a beautiful cream that helps with dryness, dull skin and uneven skin tone. It has a duo of AHA, glycolic and lactic acids that provide exfoliating properties. It also has pineapple, pumpkin, and papaya enzymes that help with dull and uneven skin. The Glow Moisturizer is good for all skin types but I especially recommend it if you have normal to dry skin. It is lightweight but provides a ton of moisture. I sometimes use it as a primer when I’m planning on using a matte foundation as it provides me with a beautiful glow. Make sure you wear an SPF when you use this cream as it contains acids that make your skin even more prone to burning. Fresh Beauty Rose Deep Hydration Moisturizer – This is a newer cream for me but I’ve been using it so much since I got it. Again, it is a lightweight gel-cream that is infused with rosewater and nourishing rose flower oil that delivers intense 24-hour moisture. It helps with dryness, uneven texture and elasticity. -Hydropatches: Form a protective moisturizing veil to help attract and retain moisture. -Advanced Combination of Hyaluronic Acids: Helps attract and increase moisture for deep hydration. The Rose Deep Hydration Moisturizer is as moisturizing as you can get from a lightweight cream without being greasy or heavy on the skin. I also use this as a nighttime moisturizer or whenever I need an extra boost for my skin. Herbivore Pink Cloud Rosewater Moisture Creme – Another newer creme for me and it is infused with rosewater as the Fresh Rose Deep Hydration Moisturizer. The difference is, that the Cloud Rosewater Moisture Creme is not as moisturizing which makes it a great summer moisturizer and good for the daytime. It is listed as for all skin types and helps with dryness, redness and dull skin. It is very lightweight and leaves a subtle dewy finish upon application. I love to use the Cloud Rosewater Moisture Creme before I go in with my primer as I find that it sits well under makeup. 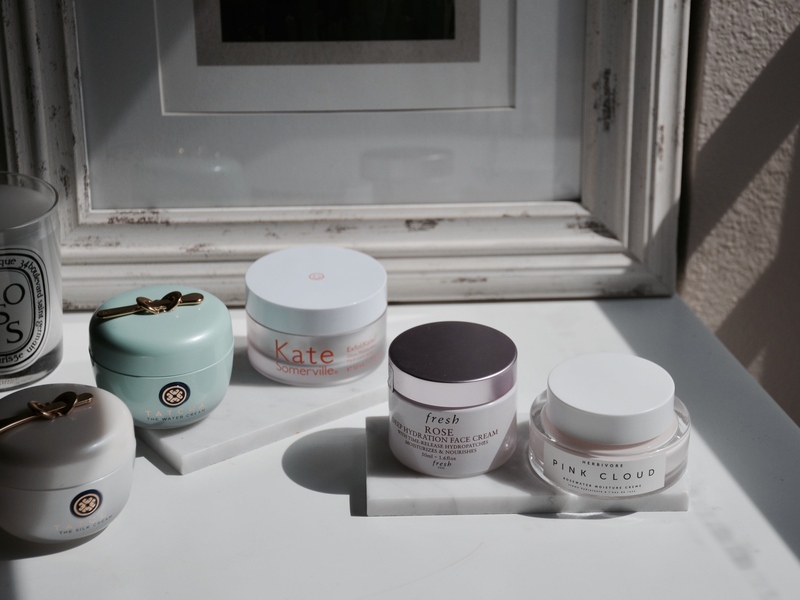 What are your go-to moisturizer that is good for normal skin (or all skin types)?